Catching up from a busy week, I’m going through a stack of unread articles and magazines. That must be encouraging reading for all of those highly experienced digital leaders who day in and day out create immense value for their organisations, without having a detailed strategy in place. I suggest you to take a close look at the article, as all 7 lessons are extremely relevant to anybody working with digital transformation. 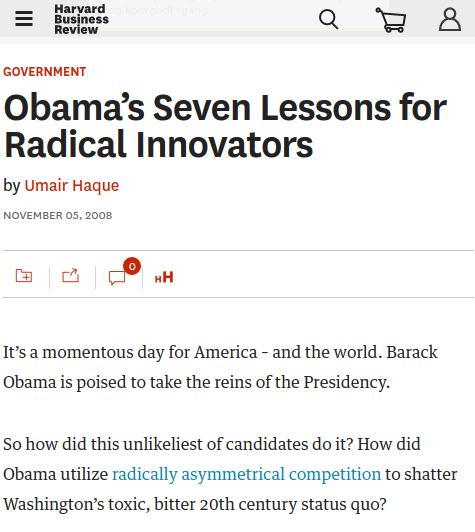 PS: The article appeared in November 2008 in Harvard Business Review. This is the time when Obama had just won his first Presidential election.